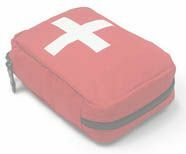 This transport bag has been designed with great care to comfortably carry and protect the Automated cardiac defibrillator. This transport bag has been designed with great care to comfortably carry and protect the Automated cardiac defibrillator Def-I Colson. More info about Transport bag for Colson Def-I defibrillator ?